Sprinkler Repair Bayonet Point Free Estimates Work Warrantied. 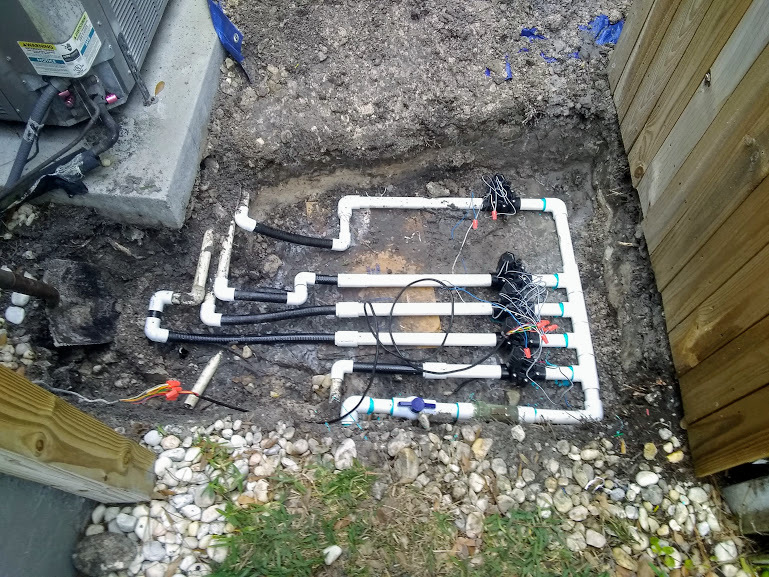 Sprinkler Repair Bayonet Point Fl, American Property Maintenance is a sprinkler repair business located in Pasco County Fl with over 20 years experience in sprinkler repair service. We are the leader in sprinkler repairs, sprinkler valve replacement, lawn sprinkler repairs, water sprinkler repairs, sprinkler valve repairs. Sprinkler Repair Bayonet Point Fl, Sprinkler valve repairs are our most common sprinkler repair service call. In many cases the Lawn Sprinkler Valves are so old that the parts are not interchangeable. In that case you have to cut the valve out and install a new one. There are many reason why the cost to fix a Lawn sprinkler valve can be expensive. The main reason is when most irrigation companies install a new Lawn sprinkler system they build the manifold wrong. How they build it wrong is by bunching all the valves together. When that happens you can not just cut out one valve out you have to replace each one. The labor involved is intense and long. We will locate your sprinkler pipes and cap them. We do this so when your pool is finished we can just rerun your sprinkler pipes around your pool. Wire Location, With this service call we have to decide if locating your sprinkler wire is worth the time or if just installing new wire is the answer. In most cases we just install new irrigation wire.